If you are looking to for a holiday or short break in North Yorkshire, North East England then Jewel Cottage provides some great self catering accommodation for you. Self catering accommodation at Jewel Cottage sleeps 5 with	2 bedrooms	and prices for a weeks stay start from just £195. 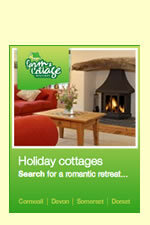 Jewel Cottage is situated at , Whitbyin North Yorkshire. A map is below but if you are travelling by car the all important Sat Nav settings are: Latitude 54.48222, Longitude -0.59448 or postcode .